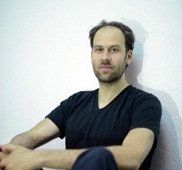 Johannes Malfatti is a composer based in Berlin. He graduated from Germany’s National Film and Television School HFF “Konrad Wolf” in the Sound for Audio-visual Media program (Tonmeister für audio-visuelle Medien). In his solo work, he focuses on contemporary and experimental techniques, often combining acoustical and electronic elements to create rich and slowly moving sonic environments. His diverse work for film, television, theatre and music projects ranges in style from electronic music to orchestral composition. His collaborations include artists, musicians and choreographers such as Björk, Octet, Cat Power, The Twighlight Sad, Dominique A, Simone Kermes, Barockorchester Elbipolis, Nadja Zwiener, Elfa Rún Kristinsdottir, Ömer Avci, Kobie van Rensburg, Arno Coenen, Pfadfinderei, Laurie Young, Grayson Millwood, Jared Gradinger, Angela Schubot, Rainer Strecker, Benny Nemerofsky Ramsay, Ulu Braun, Candice Breitz, Jim Rakete and Gerhard Falkner. He has worked with film directors such as Yung Chang, Lucian Georgescu, Guy Édoin, German Gutierrez, Carmen Garcia, Ciril Braem, Lixin Fan, Mo Asumang and Fabian Möhrke among others. His clients include: National film board of Canda NFB, CBC, Arte, ZDF, Rundfunk Berlin Brandenburg RBB, Kinderkanal KIKA, National Geographic, Royal Bank of Canada, Ford, Nissan, amp, Rewe, Linde, Kaefer, Radialsystem, Sasha Waltz and guests, Craftwork, Here, BBVA, Konterfei among others. “Tipping Point: The Age of the OIl Sands” won three awards at the 37th Annual Alberta Film and Television Awards: Best director, Best screenwriter, Best editing. ”Mein Prinz, mein König” by Ciril Tscheligi received “Best sound design and music” at the Filmkunstfest Schwerin. Canadian documentary “Up the Yangtze” by Yung Chang has received numerous awards and nominations at festivals such as Sundance, Vancouver, San Francisco, River Run, Amsterdam and Golden horse.